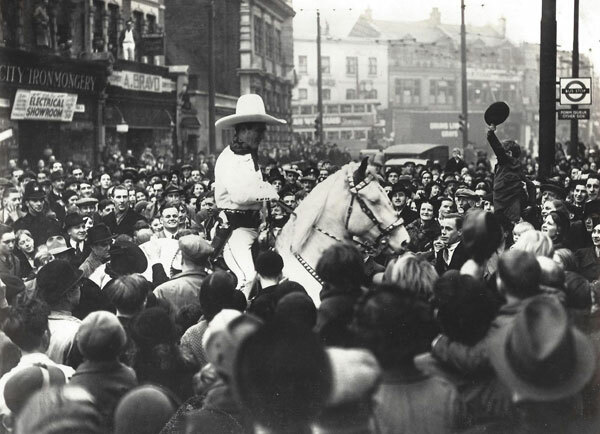 Revelry in Reno! 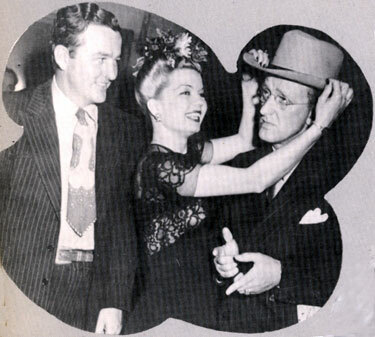 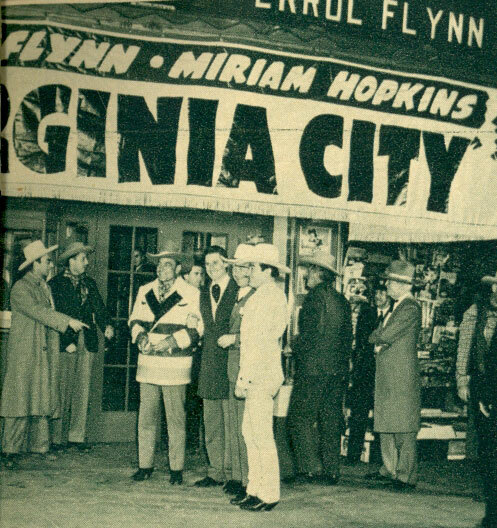 For the premiere of Warner Bros.’ “Virginia City” (‘40), Warners sent a host of stars to Reno, NV, including (Center L-R) Buck Jones in his Hudson Bay coat, Errol Flynn, William Boyd and Tom Mix. 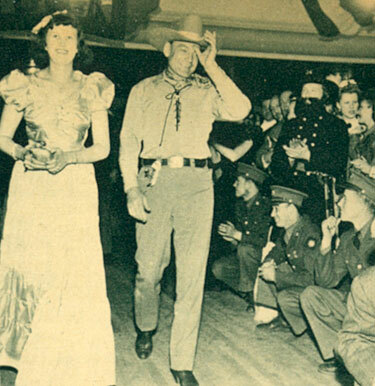 in Reno, NV, in 1940. 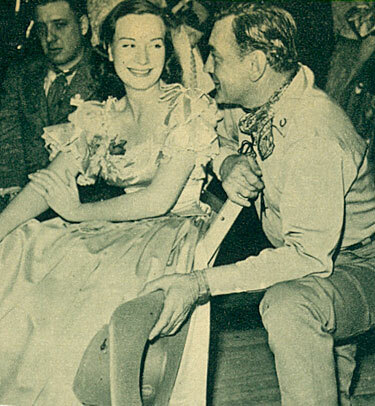 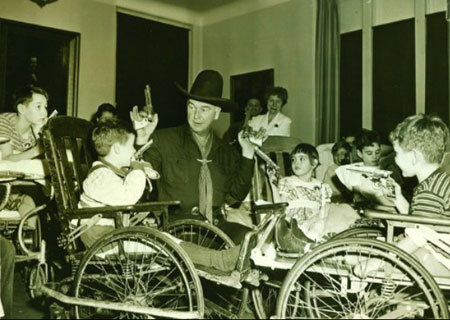 Buck Jones and ?? 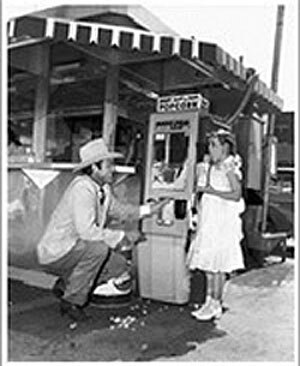 at the Reno, NV, premiere of “Virginia City”. 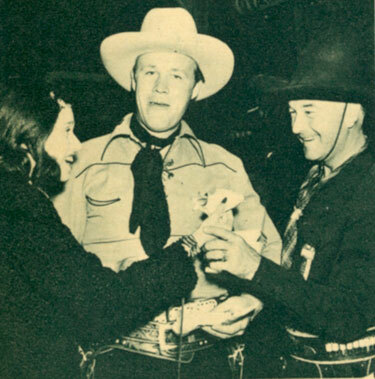 in early 1940 in Reno, NV. 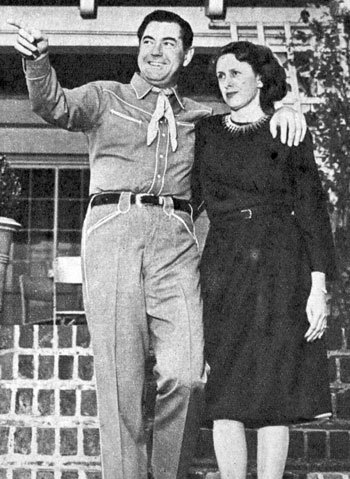 Johnny Mack Brown and his wife, the former Cornelia Foster, in 1946 in front of their 16 room English colonial house in Beverly Hills. 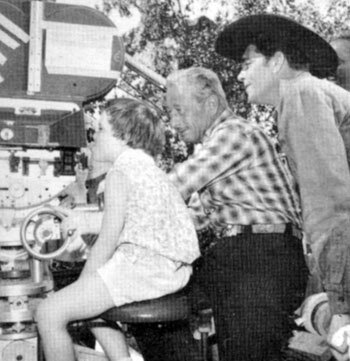 Dale Robertson’s daughter, Rochelle, gets a few camera pointers from “Tales of Wells Fargo” cameraman Bud Thackery and dad Dale. 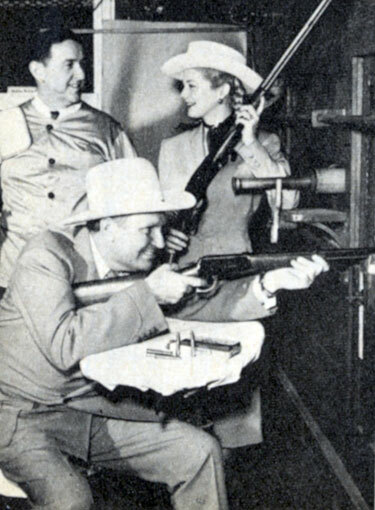 Taken in late 1959.
and Gene Autry in 1955. 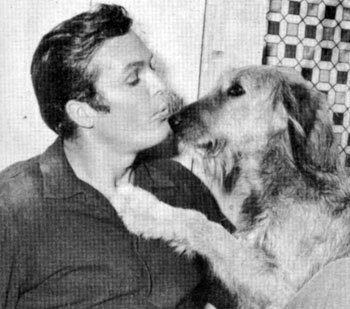 Circa early ‘60, Ty (“Bronco” ) Hardin gets a kiss from his dog Bo. 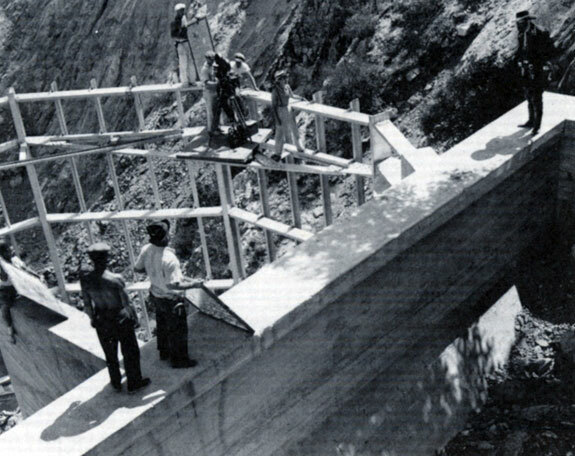 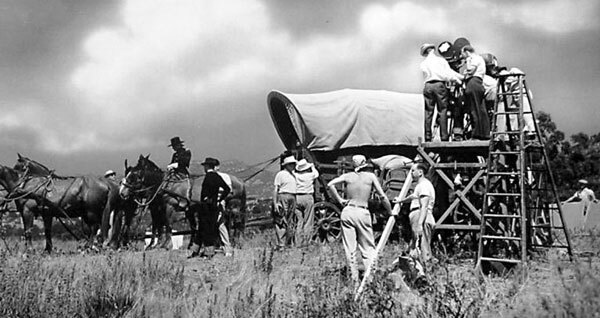 The crew sets up a shot at Pacoima Dam for the Republic serial “Zorro Rides Again” (‘37). 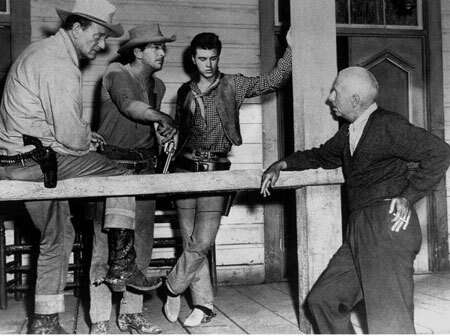 John Carroll...or probably his stuntman, stands ready for the shot to the right. 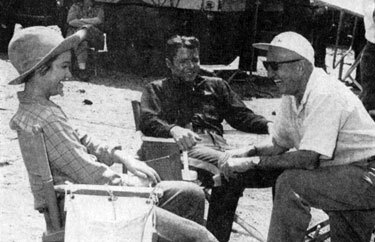 Kathy Grant, Audie Murphy and director George Marshall take a break from filming “The Guns of Fort Petticoat” (‘57). 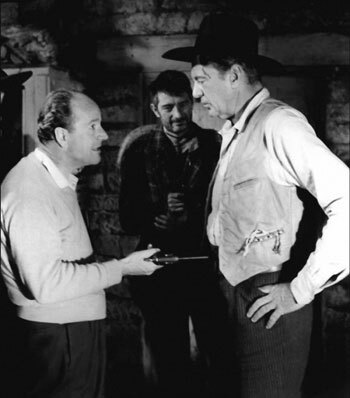 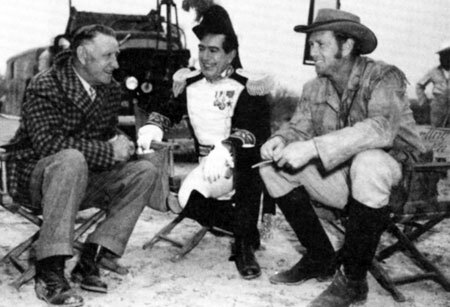 Director Frank Loyd, J. Carroll Naish and Sterling Hayden during the filming of Republic’s “The Last Command” (‘55) in Brackettville, Texas. 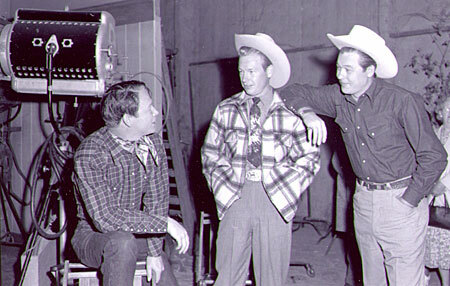 Taken during the making of “They Died with Their Boots On” (‘41). 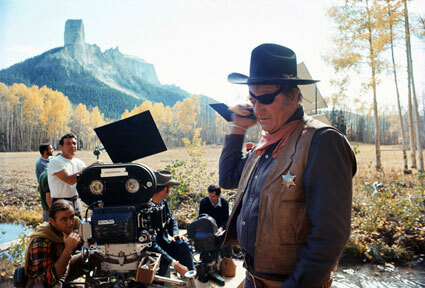 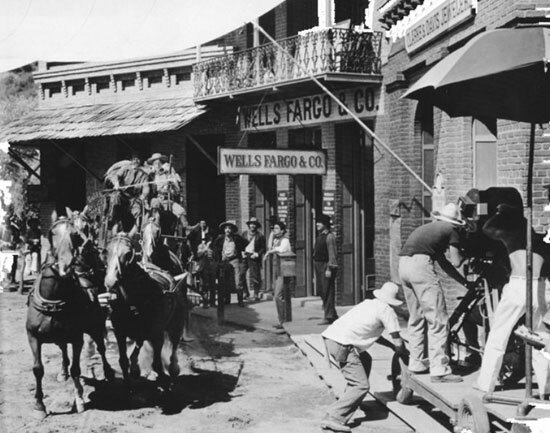 Taken during the making of “Wells Fargo” with Joel McCrea in 1936.